Let’s face it, the old lady of the rail network is showing its age. Worn features, dated decor, and if there is a wi-fi connection it wasn’t working. As we know the Caledonian Sleeper service is due a reawakening, with a £100m fleet of replacement coaches fit for the modern traveller. 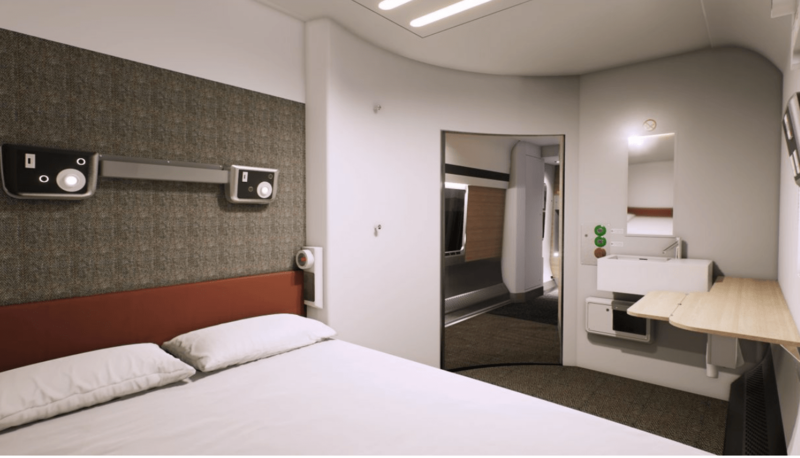 There will be showers and double beds, creating a proper hotel-on-wheels that promises a new era and standard of overnight travel. The current fleet may be ready for retirement but it is not entirely void of charm and certainly offers the commuter some obvious benefits as I was reminded on an Edinburgh-London trip. A decade ago I was a regular user as my working week was divided between London, Glasgow and Edinburgh. It provided a perfect means to leave one location late into the evening and arrive fresh at the other at breakfast time. No loss of time during the working day, and overnight accommodation thrown in. Furthermore, it meant arriving in the centre of each city. No taxis or express rail connections required. Aside from this efficient use of time, there was always something appealing about experiencing a twilight world of travel which could begin with a relaxing gin and tonic in the buffet just before midnight and end at dawn as the porter tapped on the cabin door to announce the train’s arrival. The added bonus for first class travellers is the newly-refurbished lounge which is shared with Virgin East Coast at Euston station and provides fully-equipped office services. Despite its reputation as a Sleeper that denied travellers any sleep I usually managed to get enough rest, though I noted on my latest excursion that there was a little booklet in the cabin, produced in conjunction with ‘sleep expert’ Dr Louise Reyner, advising customers how to relax: dim the lights, avoid over-eating and stimulants such as caffeine. The welcoming goodie bag, which once contained a whole range of toiletries – including a handy miniature tube of toothpaste and foldaway toothbrush – now comes with hair and body washes and a sleep-inducing ‘pillow spray’, provided by Arran Aromatics. However, none of this compensated for the loud humming noise at bed level that was enough for me to ask for another cabin. Luckily one was available. The goodie bag would have required some strong sedatives for me to get any sleep through a noise similar to lying next to an electricity generator. This was always part of the Sleeper lottery. Many of my trips have been nights of unbroken sleep with the rhythm of the train helping to provide a soothing drift into unconsciousness. On others I’ve been forced to tear strips off the free brochures to jam into various crevices to block out the noise of rattling doors and catches. It has always been one of the great ironies that of the entire rail fleet, the Sleeper seemed to creak and rattle more than any other, and the jolt when the Glasgow and Edinburgh coaches are uncoupled and re-coupled is enough to have you thrown from your bed. These are niggles, rather than complaints. Children in particular love the whole train ‘sleepover’ adventure, the bunk-beds and the sounds and smells of the night. It’s all part of the experience, though the new trains should be rattle, creak and hum free. One hopes so. They will arrive in October for Glasgow and Edinburgh services, to be followed by the Aberdeen, Fort William and Inverness routes. There will be 75 new carriages featuring several classes of cabin, each with an en-suite toilet and shower. The suite comes with a double bed – something never seen before in the UK rail industry. Prices have yet to be announced by operator Serco, and the current Sleeper is by no means the cheapest form of Anglo-Scottish travel. My return fare came in at £270.90 and that was with a 30% railcard discount. However, considering it includes overnight accommodation it makes it very competitive. The Sleeper does still retain a touch of the old romance of rail travel and for me, the convenience of being able to leave an evening function in Glasgow, Edinburgh or London and still have plenty of time to reach Central, Waverley and Euston stations is enough to make up for the creaks and rattles, though I don’t think I’ll miss them if the new trains usher in an era of silent nights. Cost: (4/5) First class return fare Edinburgh-London £270.90 (with 30% rail card discount) for single cabin. Facilities: (3/5) Cabin included single bed, sink with hot and cold water, wall mirror, USB charging points, clothes hangars, free bottle of water, towel, hair and body wash lotions and pillow spray. Toilet near cabin was out of order. Humming from beneath the cabin floor on return journey prompted a request for another cabin. Food: (3/5) There is a lounge car serving food and drink. A menu card offers a good range of breakfast options and is collected from first class cabins during the journey. My choice on the outward leg came without the requested yoghurt. Journey time: (4/5) Depart Edinburgh 23.40, arr Euston 7.07 (7 hrs 27 mins), train on time; depart Euston 23.53 arr Edinburgh 07.23 (7 hrs 30 mins). Return train was 45 mins late. Extras: (4/5) The lounge at Euston offers free wi-fi, toilets, fax, printer and meeting room facilities. There are screens displaying live travel information and complimentary snacks and refreshments. Shops, bars and restaurants are available for all guests in and around the station. A Bureau de Change, left luggage facilities, showers, toilets, baby changing facilities, toilets and showers and cash machines are all on site. Showers are complimentary for first class passengers and towels and shower packs are provided. Standard Class and Seated Guests can purchase shower tokens for £5 per token.